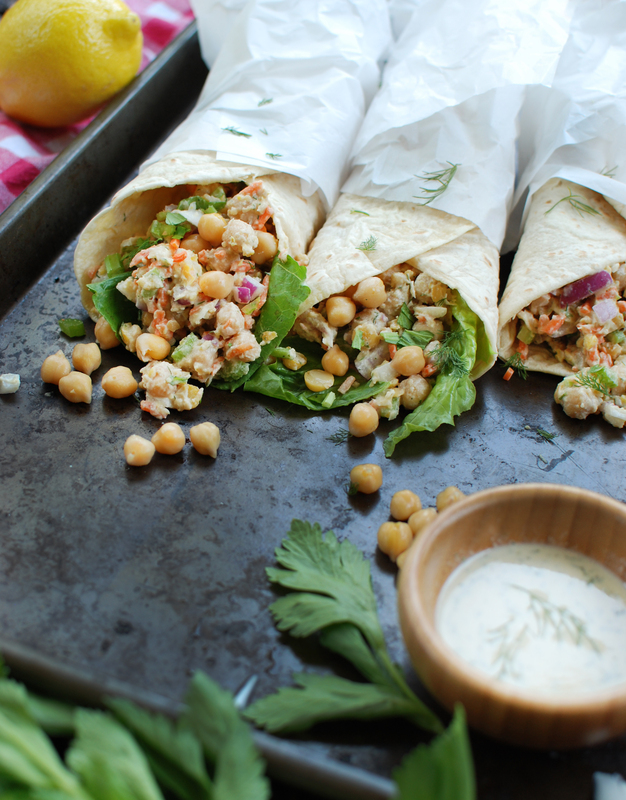 This chickpea salad wrap with tahini ranch dressing is my current favorite lunch. It’s the perfect plant-based dish to bring to picnics, potlucks, and barbecues. Bring along some tortillas (or a head of lettuce for lettuce wraps) and these wraps will be gone in no time! To make the dressing, combine all of the ingredients in a bowl and whisk throughly. Chop 1 cup of chickpeas into fine pieces. 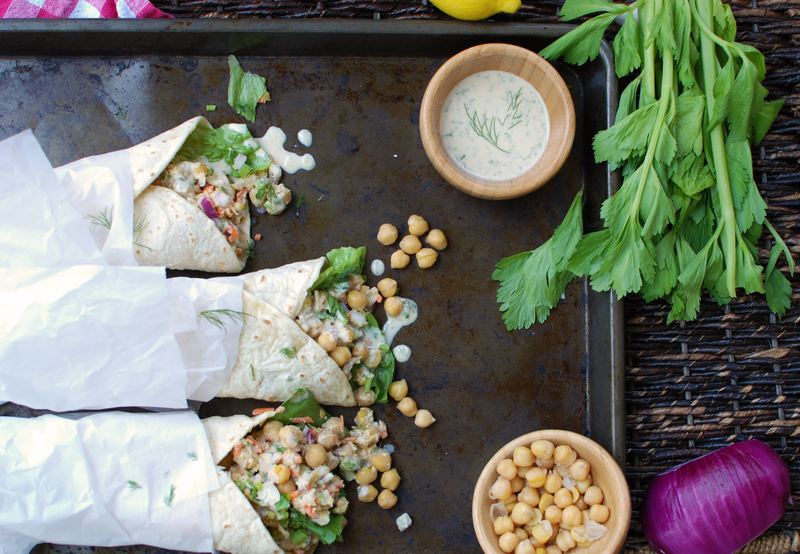 Coat the chickpeas and vegetables with dressing. Serve in a wrap or on a lettuce leaf! Store leftovers in a covered container in the refrigerator.